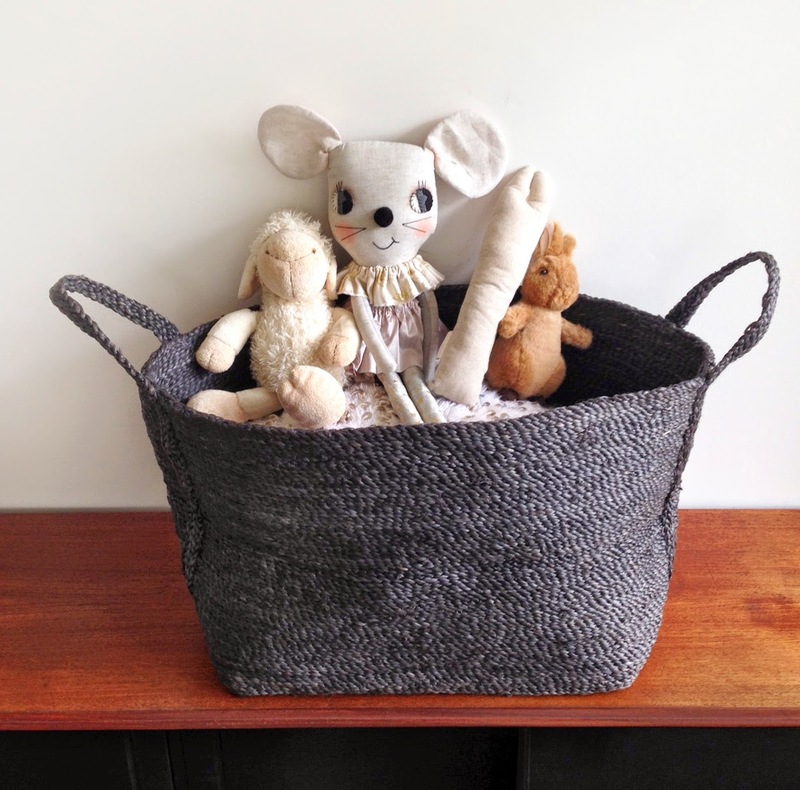 There's just something about an enormous basket, isn't there. I'm note sure about you, but I love nothing more than tossing "things" into a large vessel and ending up with a tidy house. 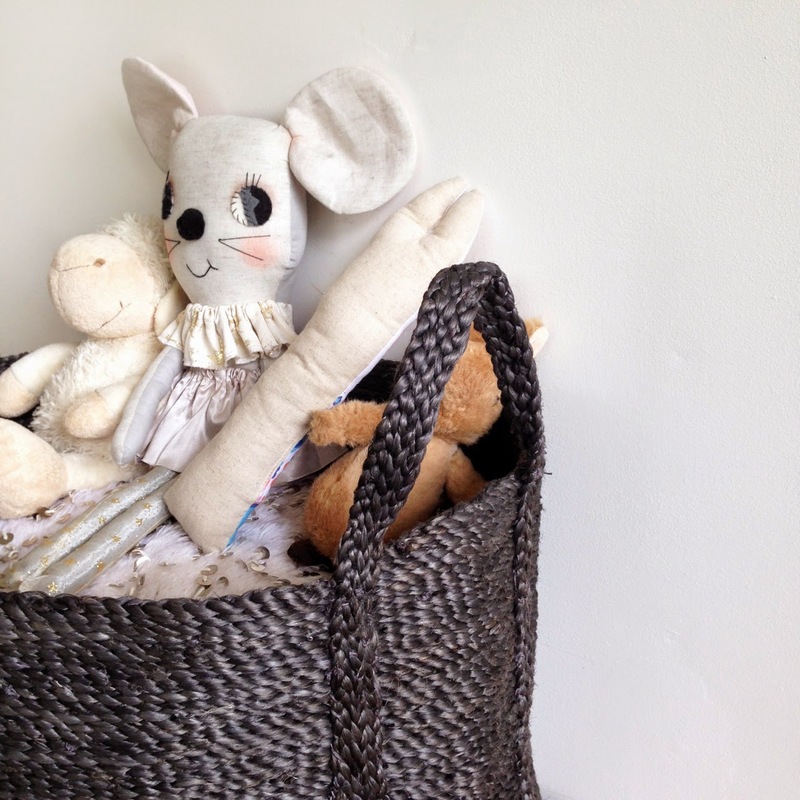 Yes - I'M TALKING ABOUT YOU TEDDIES, DOLLIES, VERY CUTE, YET ENORMOUS MOUSE AND RANDOM SKIPPING ROPE. PS Can't wait to read on? Click to buy in Charcoal ($185) or Natural ($165). We're talking a cavernous opening, handles you can actually hang on to and enough space inside to fit a small donkey. 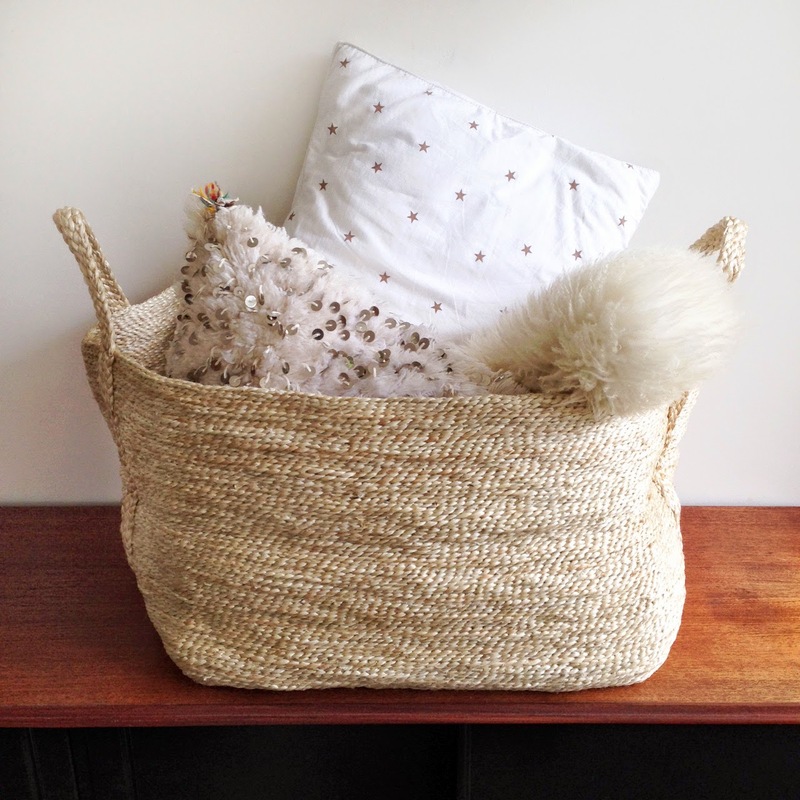 Natural basket ($165). And when the aforementioned basket looks this good? Aren't they beautiful? 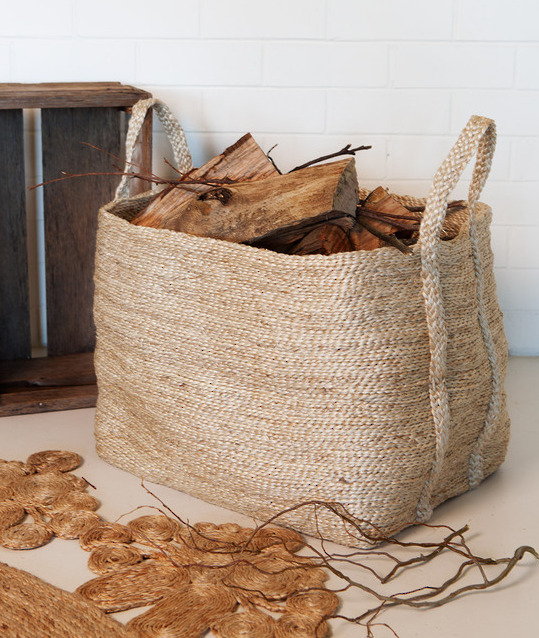 Hand woven from Natural Jute, a sustainable plant. And yes, that's a FULL SIZE PILLOW (below). These things are huuuuge! Size is 50cmL x 36cmW x 36cmH (these dimensions are for the base of the basket however as the sides are flexible, it appears much larger and slightly rounded). A practical piece for those who appreciate natural fibres and handcrafted work. 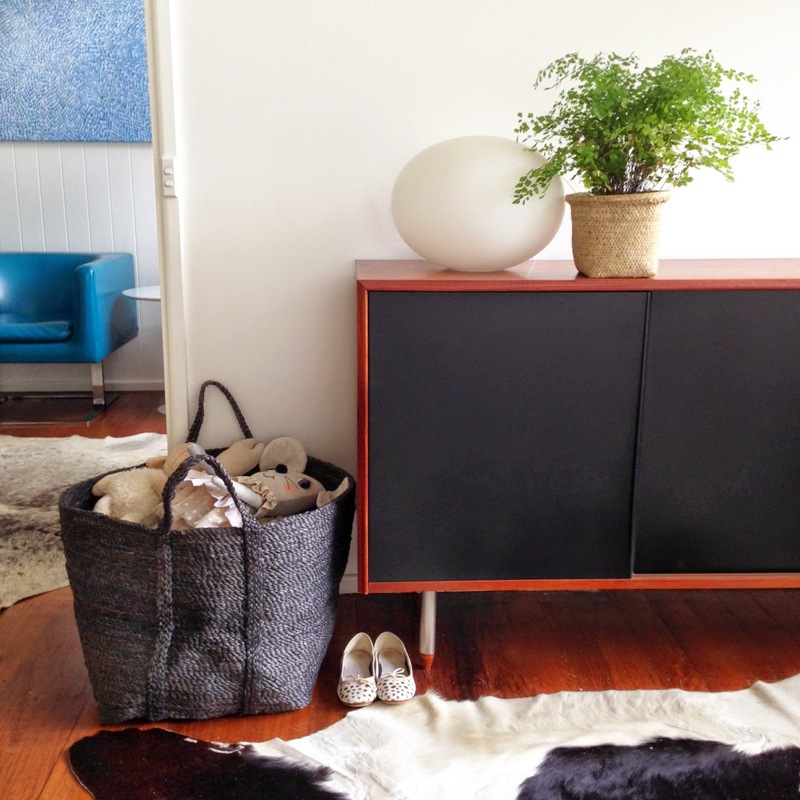 Great for storing toys, wood, laundry, newspapers and much more! 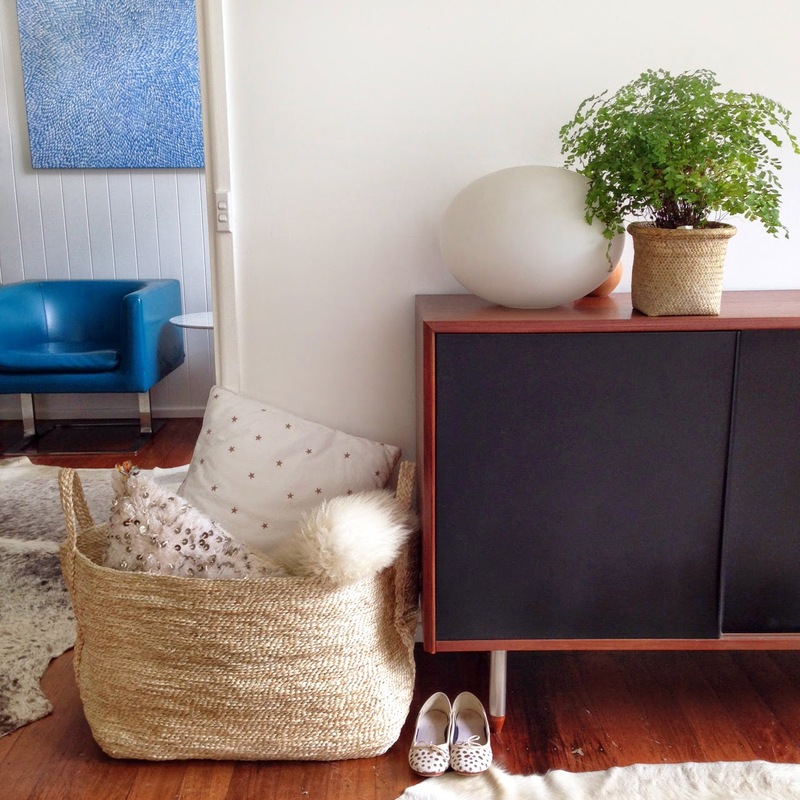 These baskets are durable, eco-friendly and the neutral colour will look smashing in any space. And bonus points for being Fairtrade. 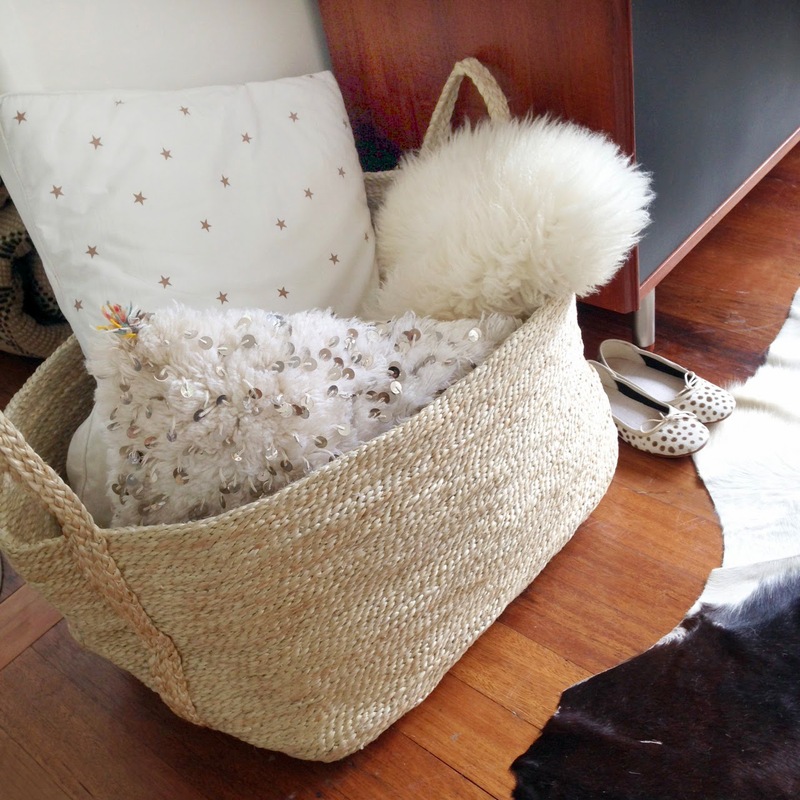 Our jute baskets are handwoven by women working within a Fair Trade program in Bangladesh. These talented women combine traditional weaving styles with contemporary designs and natural materials. These guys will literally last you a lifetime! Click to buy in Charcoal ($185) or Natural ($165). hello!,I love your writing very a lot! percentage we keep up a correspondence extra about your post on AOL?